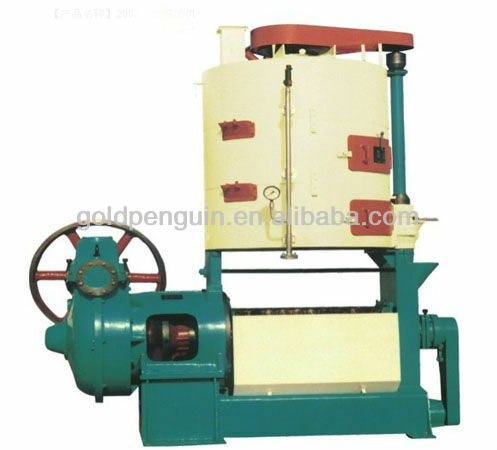 The machiner is applicable for pressing vegeable oil-bearing crops such as rapessed,peanut kernel,cottonseed,soybean,copra,teaseed,sunflowerseed,etc.According to requirements of clients,the pressing worms can be replaced for pressing of rice bran. 1.The main parts of that machine such as shafts,worms,cage bar are made of high quality alloy steel and treated to improve the hardness. 2.It can be used for both steaming and cooking,adjusting according to the required different temperature when pressing,then get the high quality oil. 3.The machine is fully automatic continuous work from feeding,cooking to oil output,easy maintenance,labor-saving.